Cleveland Browns wide receiver Josh Gordon plays against the Pittsburgh Steelers during a September 9 game in Cleveland. Gordon was traded Monday to the New England Patriots. 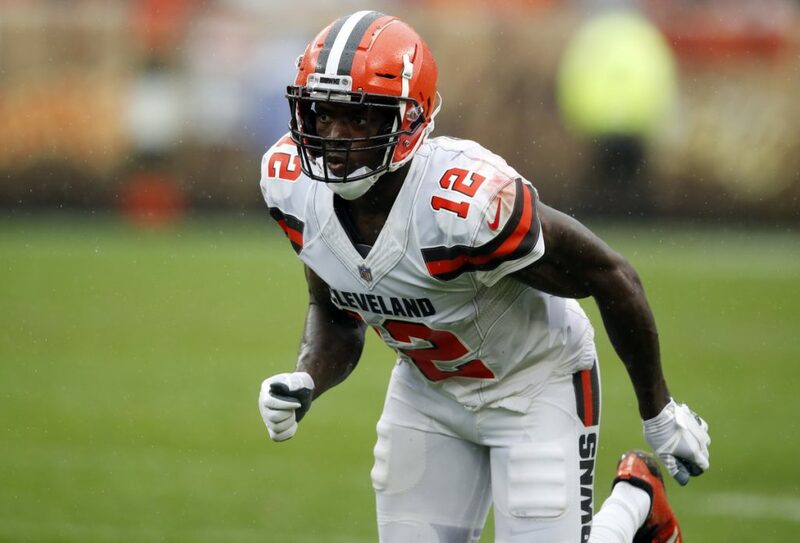 Gordon played in the Browns’ season opener against Pittsburgh, but he reported to the team on Saturday with a unexplained hamstring injury after practicing all week. The Browns decided to leave him behind when they traveled to New Orleans, and later said they intended to release him. However, Cleveland general manager John Dorsey found there was a crowded market for him and worked out the swap with New England. Gordon’s tantalizing talent had caused the Browns to hang onto him while he dealt with drug and alcohol dependence dating his teens. He missed training camp to receive treatment and the Browns were cautiously optimistic he would help them this season. His former Cleveland teammate Corey Coleman — who had his own issues with the Browns before being traded last month to Buffalo, cut and then signing with the Patriots — was released by New England to make room for Gordon.